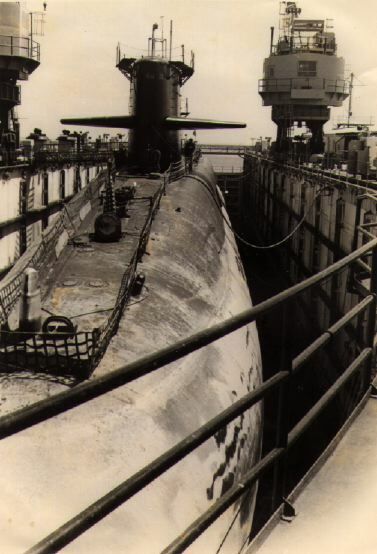 Welcome to the SSBN 658 Tour. The photos in this section of our site are of the boat, inside and out. The 658 may be gone physically but due to the generous donations of her crew we can provide tours here in cyber sea. In order to navigate through this area you will be provided with directional arrows at the bottom of each page, or skip ahead with the links above. This area is laid out much like a photo album, only 2 or 3 images per page. Thanks for stopping by to visit and please enjoy your tour. 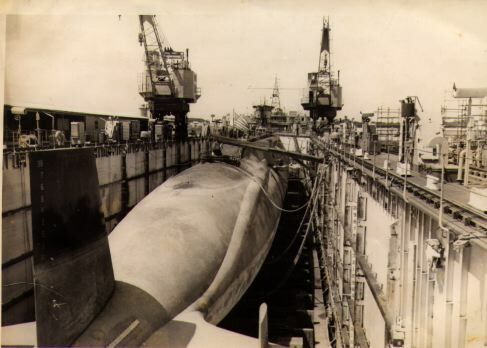 The 658 in dry dock around 1979. Click the arrows to turn the pages.